An artist’s rendering of Arsenal Yards in Watertown. The developer behind the $400 million redevelopment of the old Arsenal Mall in Watertown has signed its first big lab tenant. Cell therapy firm SQZ Biotech will take more than 63,000 square feet in the former mall, which is being converted into a mixed-use development by Boylston Properties. The biotech, currently based in an older office building nearby in Watertown, is rapidly growing following a $72 million funding round it closed last year and plans to “dramatically increase its footprint,” its chief executive said. 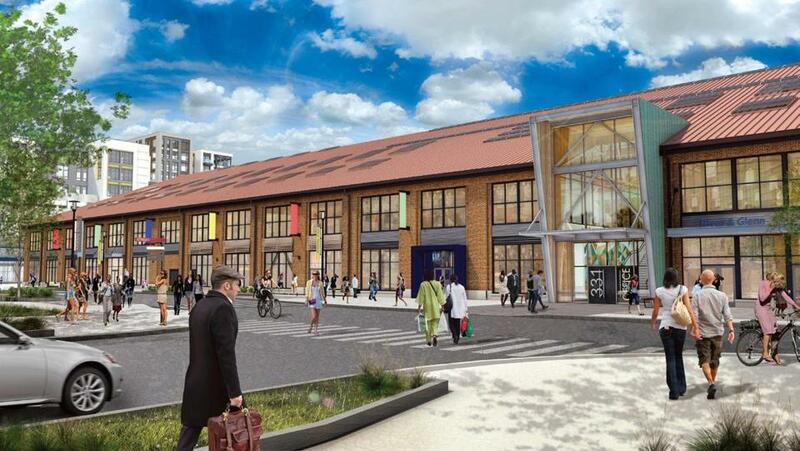 Doing so at Arsenal Yards, as the project is known, will give employees access to a slew of new restaurants, boutique gyms, a new Roche Bros. supermarket, and a shuttle to Harvard Square. The East End of Watertown is one of several areas emerging as less-costly and less-congested alternatives to Kendall Square for life-science companies looking for room to expand. Boylston is targeting those companies for much of its 200,000 square feet of lab and office space at the Arsenal, and last year filled LINX, a new 185,000-square-foot lab building with several growing life-science firms, just up the street. “This is our sixth new life science space lease in Watertown in the past 18 months,” said Duncan Gratton, executive director at real estate firm Cushman & Wakefield, which brokered the deal.